Ebony & Ivory owner Joan Dellavalle is fundraising to take up to 200 children to see A Wrinkle in Time. 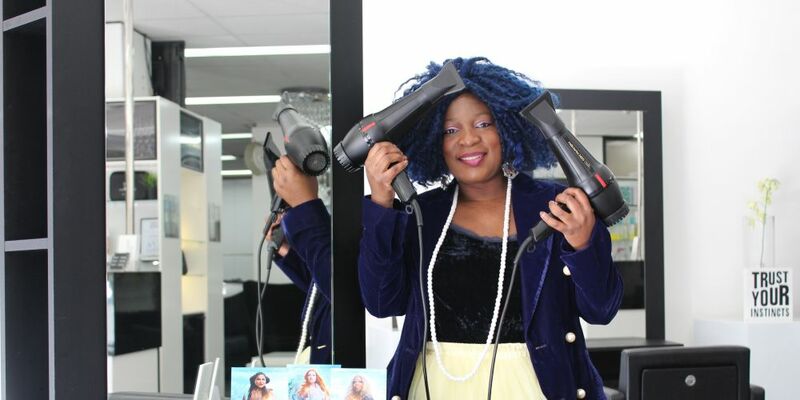 PERTH salon owner Joan Dellavalle wants to take up to 200 children to see the latest blockbuster with diverse representation. Miss Dellavalle, from Ebony & Ivory, knew the moment she heard in 2016 that director Ava DuVernay was taking on the film adaptation of A Wrinkle in Time , she wanted as many children to see it as possible. She has launched her crowdfunding page with hopes of raising $5000 before March 25. “I knew it was going to be one of those epic movies that will be so inspiring for a lot of kids,” she said. The film stars Oprah Winfrey, Reece Witherspoon and Mindy Kaling and is about bullied pre-teen Meg (Storm Reid) searching the ends of the universe for her scientist father who disappeared seven years ago. Miss Dellavalle, who saw an early screening of the film, said diverse representation on screen was important for everyone to witness. “I was born in Zambia and came to Australia in 2001; for people like me to see people like Oprah it was like ‘oh my god someone that can inspire me and I can relate to’,” she said. “And having Storm in this movie, it’s massive representation for me and I needed that as a 12-year-old. Miss Dellavalle said she had already taken 20 children to see Black Panther. “They say ‘oh my god I can be this’ and you can see that excitement in them,” she said.